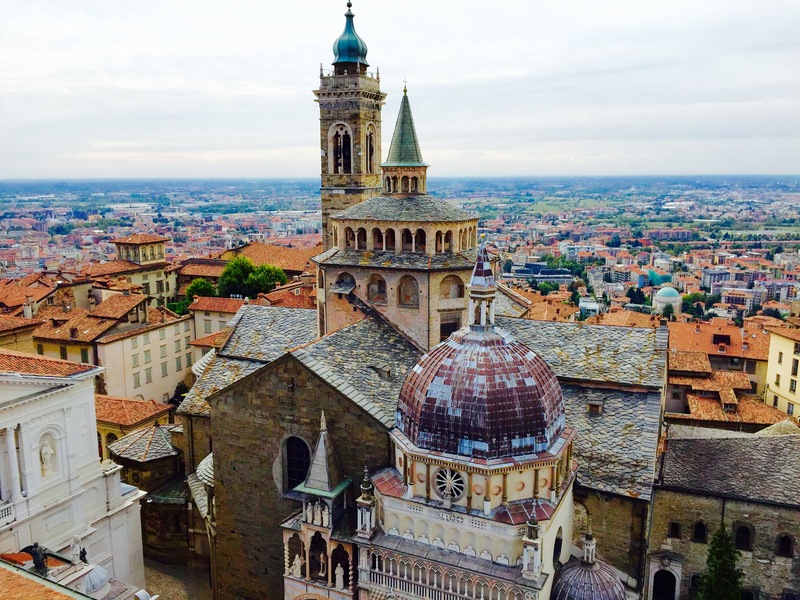 A city that moves at a slow place and is easy enough to navigate on foot, Bergamo is the fourth largest city in Lombardy, Northern Italy. It is divided into two sections, the more modern New Town, where the main shopping drag Via Settembre is located, and the ancient cobblestoned Old Town where you’ll find historical attractions such as the church of Santa Maria Maggiore, the Accademia Carrara, which showcases some of Northern Italy’s most important collections of medieval, Renaissance and Baroque paintings, and the Civic Tower where you can climb up for great views of the city. Walk uphill for about 30-minutes from the Upper Town and you’ll arrive at the tiny village of San Vigilio where you can dine at restaurants offering lovely views, or see the medieval San Vigilio castle. You can take a funicular ride from the New Town to the Old Town and from the Old Town to San Vigilio, but if you’d like to get some exercise and enjoy the views, walking is a much better option. Cuisine: Bergamo cuisine is inspired by hearty and simple peasant food, and polenta is featured on most menus. You can also expect to find rabbit, horse meat and bresaola in most local restaurants. Dishes unique to the region include casoncelli – a type of ravioli stuffed with the salami and left-over bits of pork or beef, bread crumbs, raisins and parmesan cheese; brasato con polenta – braised beef marinated in wine with polenta; polenta taragna – polenta cooked with forest mushrooms, cheese and butter, and polenta e osei – a sponge cake dessert, (which doesn’t have any polenta in it), with a vibrant yellow colour that resembles to colour of polenta. This entry was posted in Bergamo, destination, Europe, Go, Italy. Bookmark the permalink. I loved my visit to Bergamo. It’s a beautiful place.